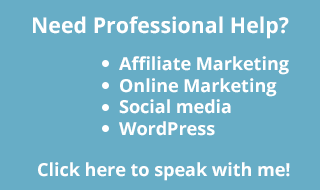 You are here: Home / WordPress / One Half Million Words! I published the blog post the other day announcing my 100 Day challenge and I got a nice little notice on my dashboard. This is a notice I wasn'' even expecting but it came in as a nice surprise. I use a plugin called WP Word Count Pro. This keeps track of how many words there are on your blog and it gives you nice little statistics. In a way, this plugin makes blogging a bit of a game. There is also WP Word Count, which is the free version of the plugin. WP Word Count Pro comes with built-in achievements to encourage you to write more and to give you analytics on your word count. The achievement that caught my attention was that I've now written 500,000 words! Other interesting statistics and achievements are shown below. 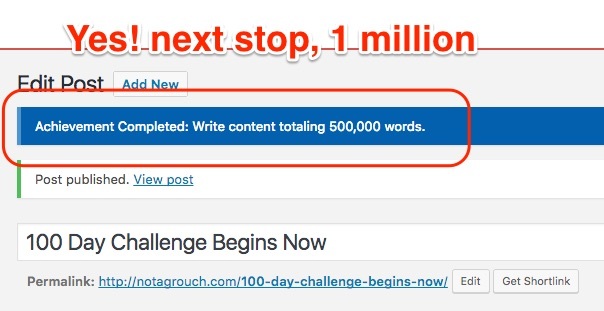 Thre are 15 achievements that escalate as you write blog posts with more words on each one. It starts with writing a post with 500 words and it increases by 500 words until you write a 10,000 word post. I don't know if I'll get to a 10,000 word post but I might if I write a comprehensive guide or something like that. 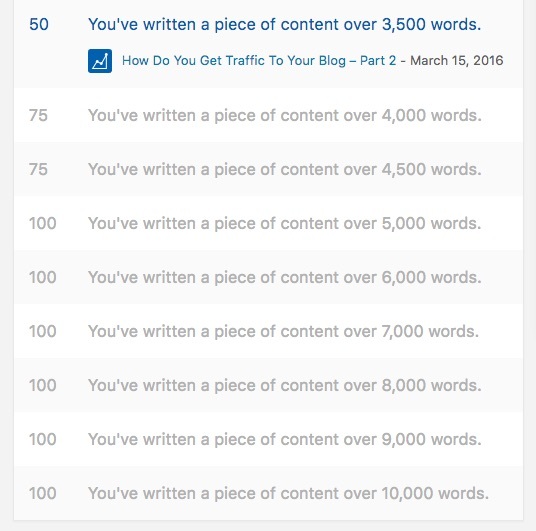 The most I've written in one post is 3,500 words for How Do You Get Traffic to your Blog Part 2. The overall word count achievements start counting at 500 words and go all the way up to 4,000,000 words. As you know by now, I just achieved half a million. I also have about 30,000 words in drafts. 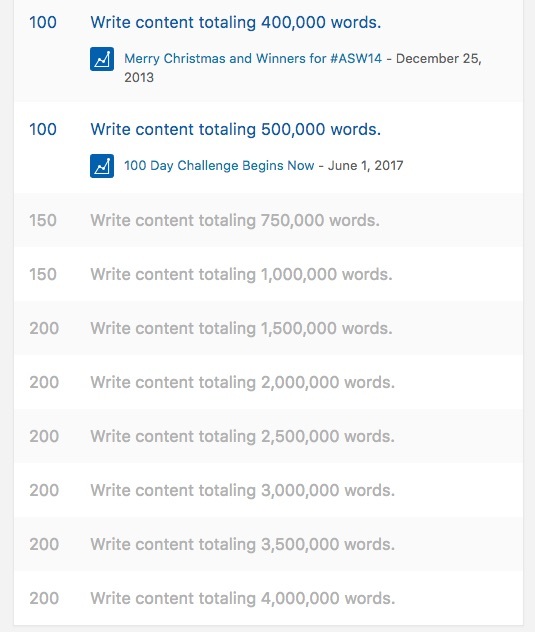 I wonder if I can get to 1 million words written by this time next year. I don't know, maybe the 100 day challenge will help. I had a quick email conversation with the author of Word Count Pro because he was asking for feedback about the plugin, I told him hit would be nice to have the ability to customize some of the achievements. He's working on a lot of improvements but he responded to my feedback to learn more and to tell me how he's prioritizing his development. Another cool thing is that he sent me a coupon code for you to use if you want. 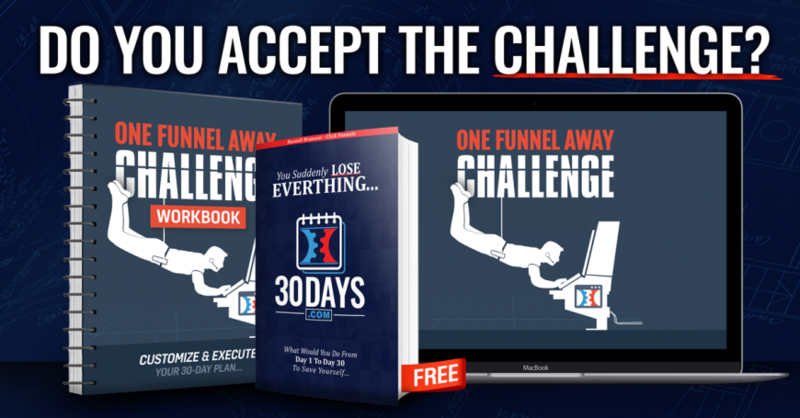 Unfortunately, he doesn't have an affiliate program, but if you want to give it a try, you can use coupon code NOTAGROUCH to get 30% off from WP Count Pro. It costs $12.00, but for $8.00, why wouldn't you get it and see how you're doing and progressing with your writing? Oh yeah, there is also a limited free version of the plugin if you want it. You can find it here.